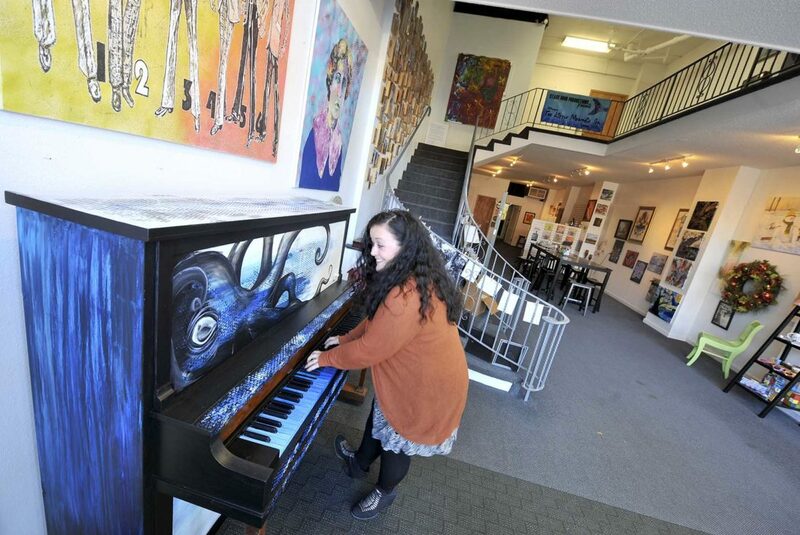 Shelly Bottorff, Fort Dodge Fine Arts Association director, tries out the painted piano on display in the organization’s new downtown space. The painted pianos were an association project that can be seen in a variety of Fort Dodge locations. 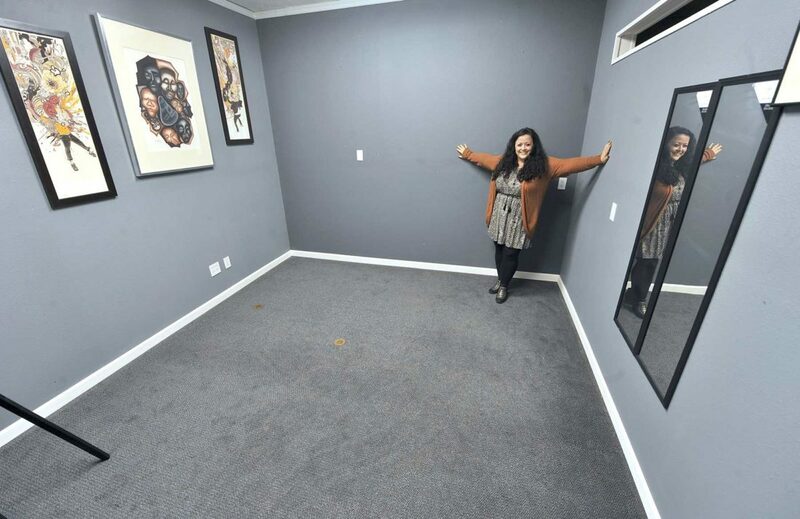 Shelly Bottorff, Fort Dodge Fine Arts Association director, shows off one of the two rooms available in their downtown studio and offices to photographers or others needing studio space. Shelly Bottorff, director of the Fort Dodge Fine Arts Association, poses on the steps leading to the upstairs of its new space in downtown Fort Dodge. There is currently art from a number of local artists on display, including the images behind her — a series of shoes on fence posts by Pomeroy photographer Roger Feldhans. There might be one fair question to ask about the new space occupied by the Fort Dodge Fine Arts Association at 921 Central Ave. in the Permanent Collections Gallery. The answer to that is a number of things: Gallery, studio, office, meeting space, gift shop, classroom and even a place where visitors to downtown events can stop and let their dog get a drink from the bowl of cold water they set out on the sidewalk for thirsty canines. 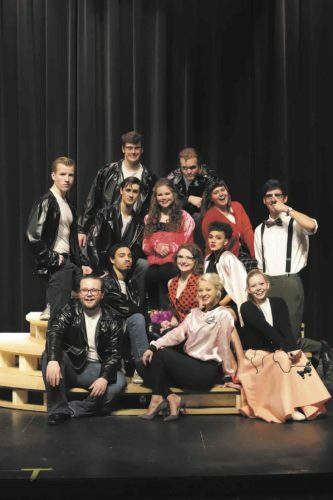 The new digs are in response to the Fine Arts Association’s growth, its Executive Director Shelly Bottorff said. Until recently, the organization was located in an office made available to it by the Greater Fort Dodge Growth Alliance. Bottorff said Fine Arts approached Kevin Crimmins about the space. It housed his Permanent Collections gallery. There is currently work from about 25 local and area artists on display. Photographs, paintings, sculpture and mixed media are featured, as are CDs and books and FDFAA-branded merchandise. Art purchased at the FDFAA benefits both it and the artist. “Thirty percent of all purchases help FDFAA,” Bottorff said. The space is also available to the community. The Fort Dodge Area Camera Club holds its monthly meetings and workshops there. 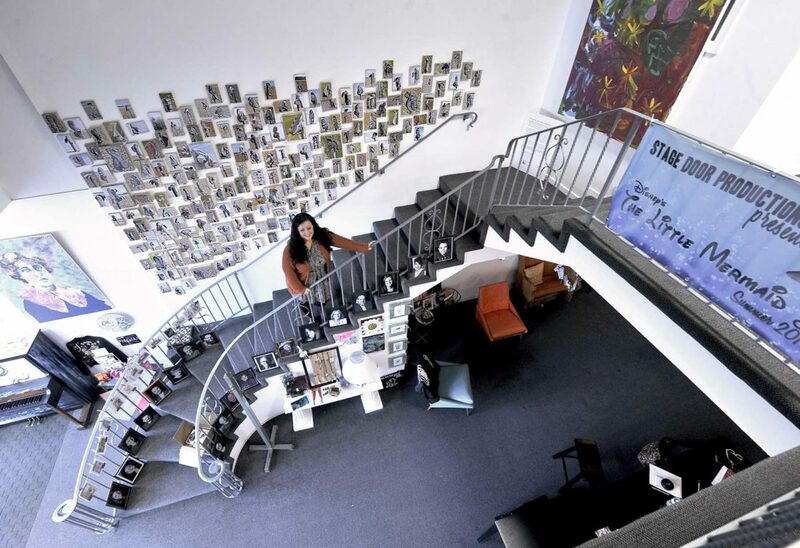 Musicians can hold CD release events there and a photographer looking for a bit of temporary studio space can use one of the two upstairs rooms in which to make photographs. The upstairs rooms also feature exhibits. Bottorff said several Iowa Central Community College students have organized and planned some of those. The next one opens on Oct. 10 and will feature photographs by student photographer Evan Price. “It’s the second time he’s exhibited,” she said. The new space is currently open by appointment and during downtown events. Bottorff expects that to change soon. The available studio space can be used for more than just photo sessions. “You could even have yoga,” she said. The FDFAA is also hosting a variety of classes and other learning sessions at the new location.